t. Peter's Fair is a grand, festive event, attracting merchants from across England and beyond. There is a pause in the civil war racking the country in the summer of 1139, and the fair promises to bring some much-needed gaiety to the town of Shrewsbury. Until, that is, the body of a wealthy merchant is found murdered in the river Severn. Was Thomas of Bristol the victim of murderous thieves? And, if so, why wre his valuables abandoned nearby? 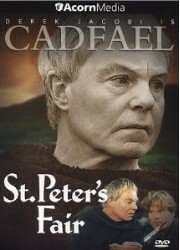 Brother Cadfael offers to help the merchan's lovely niece, Emma. 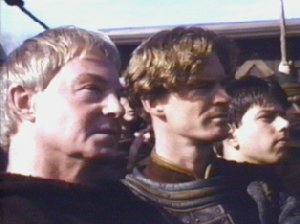 But while he is searching for the killer, the dead man's wares are ransacked and tow more men are murdered. Emma almost certainly knows more than she is telling, as others will soon realize. 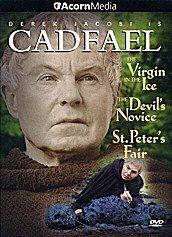 Cadfael desperately races to save the young girl, knowing that in a country at war with itself, betrayal can come from any direction, and even good intentions can kill.